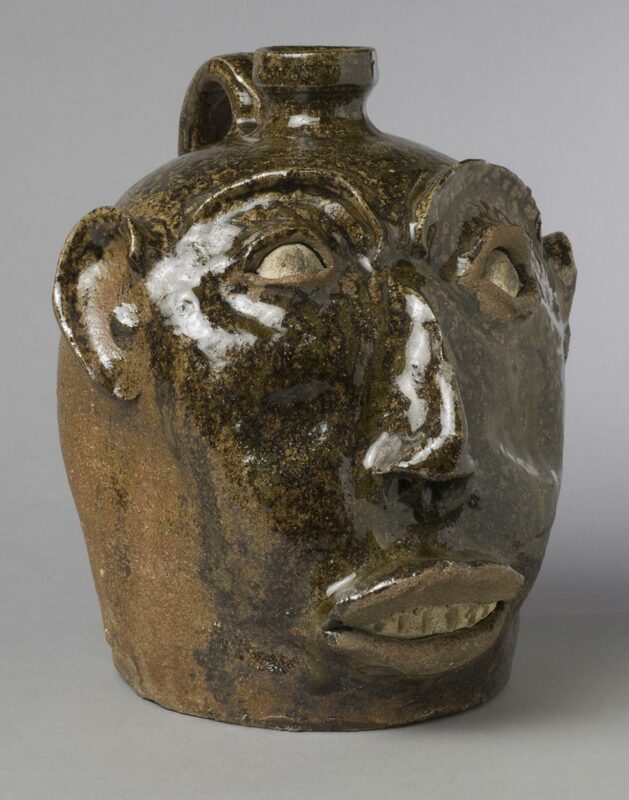 This face jug, used for water storage, exhibits strong African design precedence, and was probably produced by an enslaved potter in the rural South. Early in the nineteenth century potters working in the Edgefield district of South Carolina began experimenting with new forms and techniques of alkaline-glazed stoneware that combined an unusual mix of European, Asian, and African ceramic traditions. 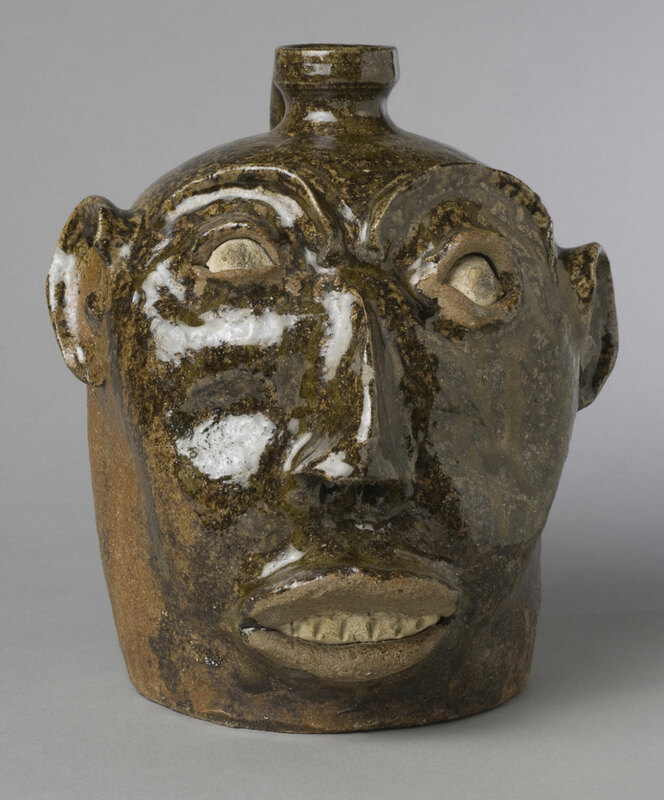 A number of highly skilled slave potters influenced these new productions and developed a distinctive aesthetic style for face vessels such as this, which incorporated African folk traditions and belief systems in their design and manufacture. Working with indigenous clays, these craftsmen used a potter's wheel to create the vessel's basic form, onto which the hand-modeled face was added. Edwin Atlee Barber, the Museum's first curator of American ceramics, documented thes African American traditions early in the 1890s and was responsible for the acquisition of several face vessels for the collection. His interviews with Thomas Davies, the owner of one of the traditional potteries, identify this example as one of the earliest extant pieces from the Edgefield district. Jack L. Lindsey, from Philadelphia Museum of Art: Handbook of the Collections (1995), p. 285.